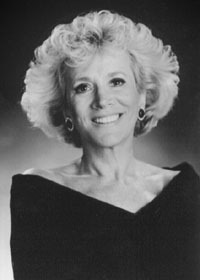 Paulette Cooper launched her career as a freelance writer in 1968, after she completed an M.A. degree in psychology and a summer at Harvard studying comparative religion. Her first book, The Scandal of Scientology came out three years later, and has been followed by eight others, along with hundreds of magazine and newspaper articles. These she wrote, part-time, to support her full-time crusade to expose Scientology, at a time when few outsiders knew much about the cult, and those who did were generally afraid to speak out. In 1982, the American Society of Journalists and Authors recognized the high personal price she paid to fight Scientology and awarded her the prestigious Conscience in Media Award -- one of four writing awards to her credit. She withdrew from the cult-fighting front in 1985, after having endured a 15-year ordeal of harassment by the Church of Scientology, including nineteen lawsuits. She married, and co-wrote three books with her husband, including 277 Secrets Your Dog Wants You to Know, and the sequel, 277 Secrets Your Cat Wants You to Know. To date, the dogs have yet to file a lawsuit against her, and the cats haven't slandered her. She makes her home in Manhattan, but reaches the world on the Internet, where she answers to PauletteC@aol.com.